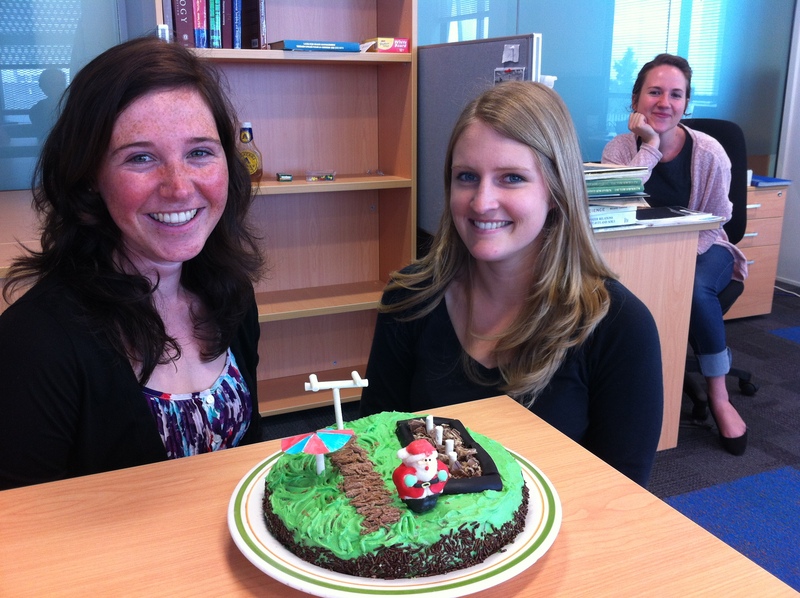 Alex and Anna have created a cake of their research projects. On the left an eddy covariance tower and board walk on a peat bog (Alex’s MSc project) and on the right Anna with her denitrification bed complete with sampling wells. In the background, Nadia looks amused, but probably wants to eat cake.